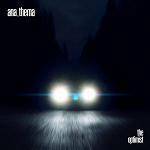 Ambient rock vanguards Anathema release the heavily anticipated 11th studio album! More information: Ambient rock vanguards Anathem release the heavily anticipated 11th studio album! Anathema have spent the vast majority of their career making music that defies description. Formed in the mid 90s, they have risen to become one of the UK's most cherished and critically acclaimed rock bands. After premiering new music on a dedicated UK & NL tour in November 2016, culminating in a stage performance at London's Wembley Arena with Opeth, the band have been teasing the release of their first full-length since 2014's spellbinding 'Distant Satellites'. Winning multiple awards for their recent output, including Album of the Year, Live Event of the Year & Multimedia Package of the Year for 2010's 'We're Here Because We're Here', 2012's 'Weather Systems' and 2013's 'Universal' respectively at the Prog awards, Anathema are bringing their darkest, most challenging and unexpected material to new album 'The Optimist'. Led by brothers Daniel and Vincent Cavanagh, Anathema recorded 'The Optimist' in winter 2016 at Attica Studio in Donegal and Castle of Doom Studios in Glasgow with producer Tony Doogan (Mogwai, Belle & Sebastian, Super Furry Animals) at the helm. Doogan's influence is instantly tangible; for the first time in years Anathema recorded as a live band for an album, capturing an energy normally only present on stage. A technique that will whet the appetites of Anathema's global army of ardent disciples, who are well aware of the band's supreme live power - previously captured on the celebrated and in demand concert film, 'Universal'. Blu-ray with the album in both 5.1 surround sound (lossless 24/96 DTS-HD + lossless 24/96 LPCM) and high-res stereo (24/96 LPCM), offering audiophiles a listening experience second to none. Mastered by Frank Arkwright at Abbey Road Studios in London, engineered by Kevin Burleigh, and 5.1 mixing from Bruce Soord (The Pineapple Thief).